Mister Rogers created a world of characters: King Friday, X the Owl, Henrietta Pussycat, Lady Elaine Fairchild, and Daniel Striped Tiger. They might remind us of ourselves or people we know. 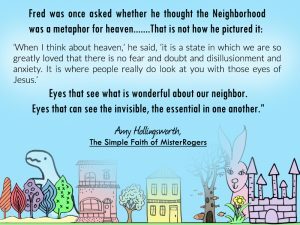 They were neighbors who were different from one another, able to live together, seeing their different gifts, and appreciating one another. 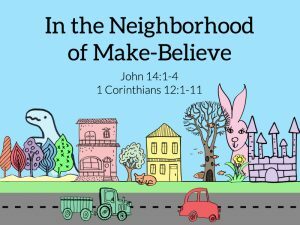 How do we live that out as the church today – a community bound together by Jesus Christ, but each of us with unique gifts, skills, and passions? 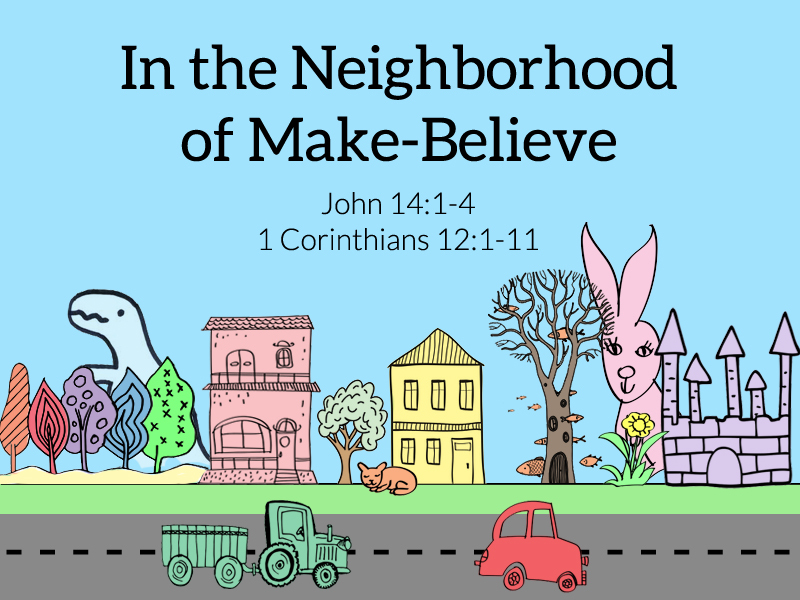 This is Pastor Mary’s fifth and final message in the series, “Won’t You Be My Neighbor? 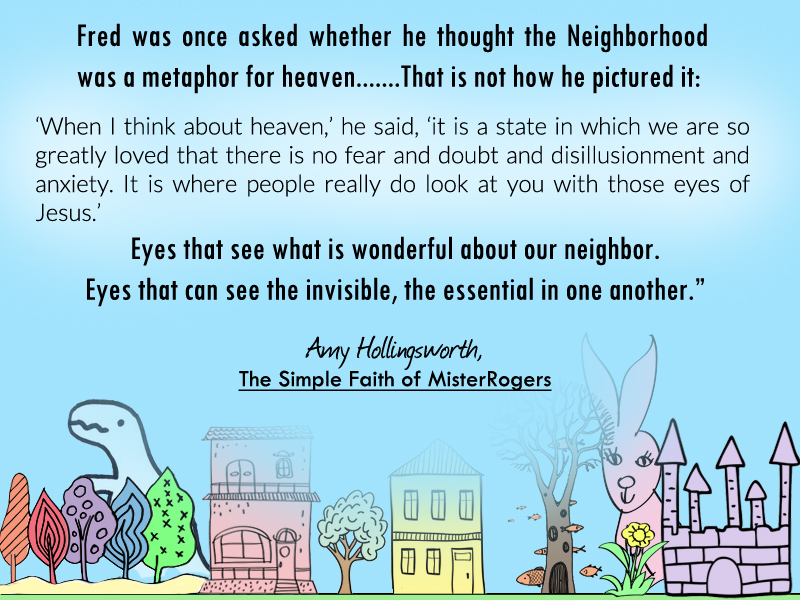 Learning from Mister Rogers.” It is based on 1 Corinthians 12: 1-11 and John 14: 1-4. To read it, click here. Follow the links below to watch the videos we saw in church.